Parquet floors are an attractive type of flooring made of hardwood in a mosaic design. They are also considered quite durable, requiring very little repair or maintenance. However, if your parquet floor gets dented, scratched or damaged, it is likely you can fix it on your own. Since a parquet floor is made up of numerous segments of wood, you can either fix the section or remove and replace the damaged panel. The sections of a parquet floor make it easy to repair. 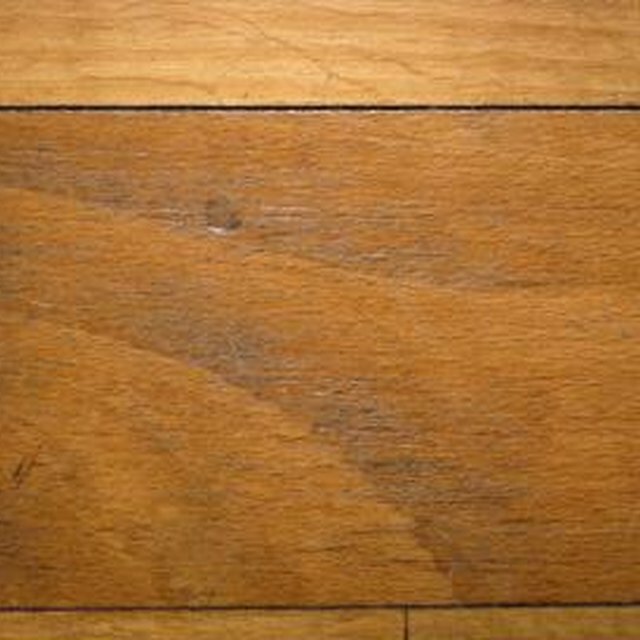 Examine your parquet floor, identifying which panels are damaged. Determine the extent of the damage. If the floor is simply scratched, it is unlikely you will have to remove any panels. Use a wood floor touch-up stick on scratched portions of the floor. Make sure the color of the stick matches the wood before using a large amount. Scratch off any excess from the floor with a putty knife, and buff the area with a cloth. Plug in your steam iron and hold it a few inches over any dents on the floor so the steam gets onto the wood. Wait a few moments. The dents should pop out of the wood. Be careful with a finished floor, because the steam can ruin the finish. If the dent does not come out, replace the panel. Break up any damaged panels with a drill, being careful not to drill into the subfloor. Pry up the pieces of the panel with a hammer and chisel. Replace the pieces with a new piece of tile, sanding it so it fits into the space snugly. Use carpenter's glue to position the new block of wood. Put a block of wood over the new piece and tap it with a hammer to bond and level it into the floor. Wipe away any excessive glue with a cloth. If you cannot repair your parquet floor or do not wish to perform the repair, you can hide the damage by putting a rug or piece of furniture over the section of the flooring.